Flex was the Emcee and DJ for our February 4, 2012 wedding. We heard nothing but good things about him so we knew right off the bat that we had to have him DJ our wedding. The list of songs we had in mind were minimal at most but he understood what we were going for and was able to find songs that really matched our personalities. He kept us and our guests happy, entertained, and on the dance floor. He was even able to cater to the Filipina aunties by mixing in a tasteful set of old school music! Flex is professional and easy going, and we will be recommending him to anyone looking for a great DJ for their event. Thanks Flex! WOW!!!! Alex is the bomb! 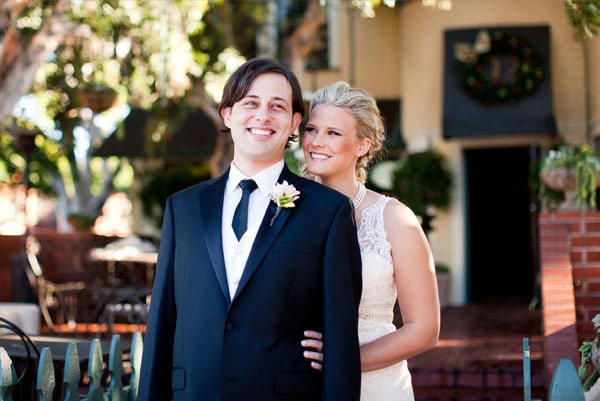 We hired Alex to DJ our wedding Oct 1, 2011 due to great recommendations from friends & co-workers of Holly. We knew he would do a good job but once the actual reception happened I’m am super stoked at how awesome Alex is. I nor my wife are great at naming songs or artists but we know what styles of music we like and what vibe we wanted for our wedding. We love to dance and have fun & Alex presented our exact dream & feel to a “T” We wanted to have all types of genres so that our wedding would be classy but we also wanted music we loved to dance to. & I personally love me some electronic music! Alex produced a wedding set like no other. He even included a portion of my favorite DJ Icey set! 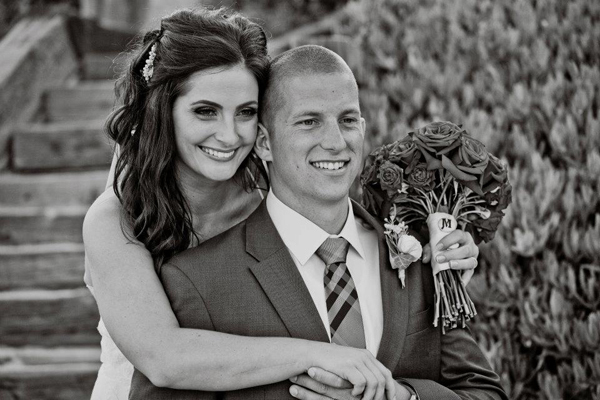 We are so happy that we chose such a professional, knowledgeable, & fun DJ to provide us with our exact dream wedding! 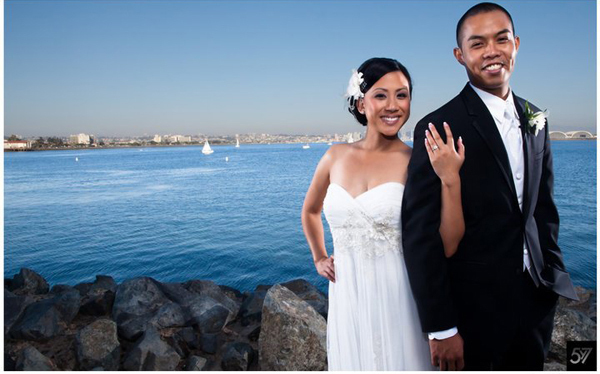 We would highly recommend Alex and would honestly say he’s the #1 Wedding DJ in San Diego!!!! 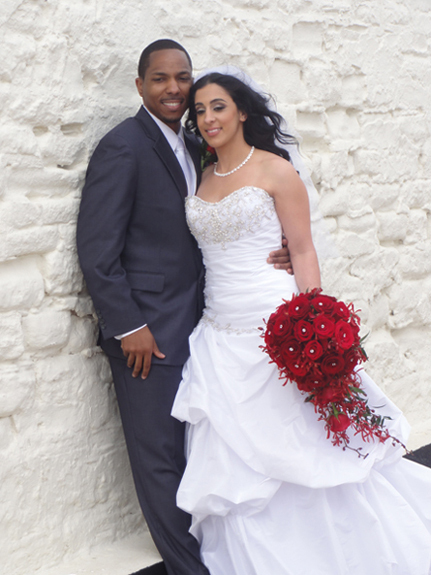 We got married on August 3, 2012. DJ Flexander did an amazing job! All our guests were dancing and having a great time! He was so professional and did such a great job. Thank you so much Alex for the wonderful music and making our reception one that everyone loved!!! 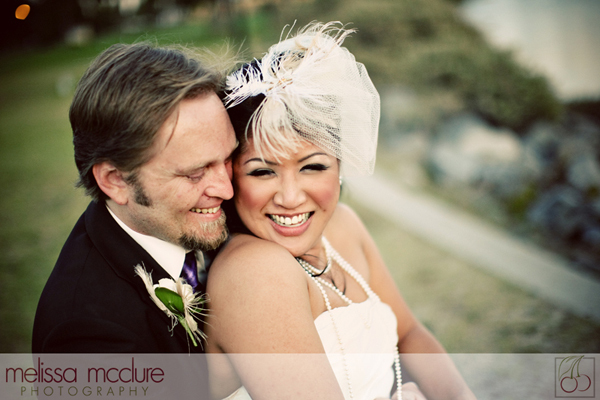 Our wedding was May 14, 2011 at Tom Ham’s Lighthouse. We asked Alex to DJ our wedding after several recommendations from friends and co-workers. We are so glad we did! He was professional, kind, and helpful from the very first meeting until the end of the wedding. We had a long list of salsa music requested from family and he did a great job mixing the salsa with other dance music. We spent a lot of time on the dance floor that night!! We continue to get compliments on how fun the wedding was!! You can not go wrong with hiring Alexander. 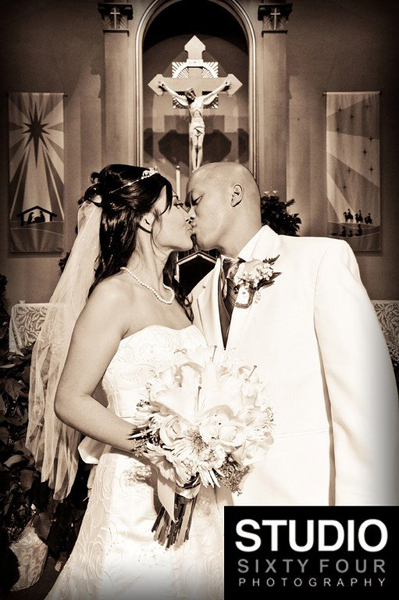 He was amazing and did such a wonderful job on our wedding on 8/20/11. He played the perfect music during the entire time. And when it was time to start the party the music was perfect! He had everyone up dancing and moving! Everyone from young to old was having an amazing time! Alexander was a great part to a wonderful day! Thank you. Our wedding was on September 24th, 2009. Alex did a great job working our wedding. 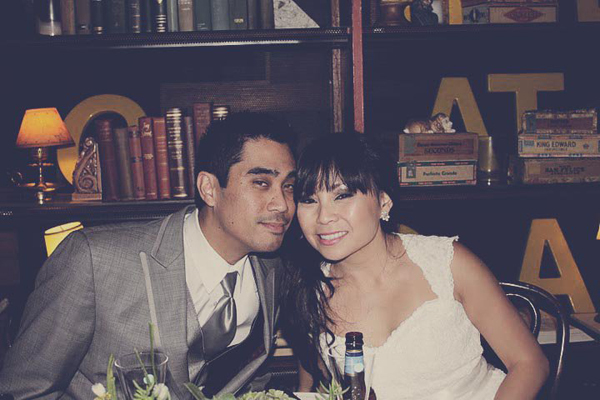 He met with us beforehand and asked us our preferences, favorite styles of music, wedding itinerary, and really got to know us as people so that he could use music that would reflect our love and personalities. Alex was on cue and didn’t miss a beat. He even took requests from our guests! I highly recommend DJ Alex to everyone! 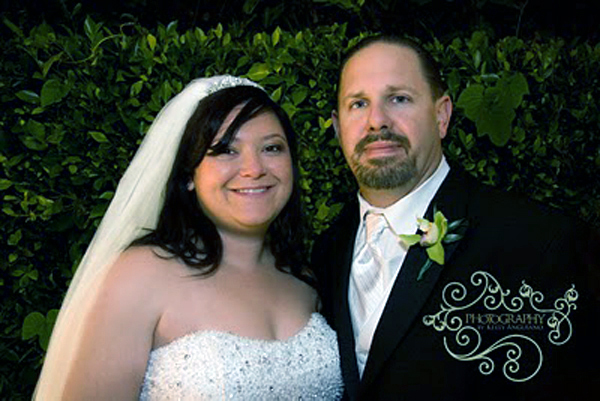 Bryce and I were married April 2nd, 2011 at The Arbor Terrace in Fallbrook Ca. We hired Alex to DJ our wedding after many recommendations from previous couples. Alex was very professional and helped make our day perfect. Our wedding took place during the day and he knew exactly what music to play to get our guests dancing. We had a blast and would recommend him to anyone. Thanks again Alex for making our day perfect! Wedding Date: 10/24/10. Flex is one of our best friends so when he said he’d DJ our wedding, we were totally stoked! And had every right to be… his set was on POINT from start to finish. He asked for a list of songs/bands that we like a few weeks before the wedding.. and man, he played everything we dig and more. He had people on the dance floor till last call. We couldn’t have asked for a better DJ. Not to mention he MC’d most of it too! Thank you Flex for providing the soundtrack to the best night of our lives! Alex was our DJ for our wedding reception at the Butcher Shop on February 7th, 2009 in San Diego. I got the greatest compliments from our guests that they had such a great time because of the music. Alex has an awesome style and is very professional. Not the type of boring music you hear at other weddings and his choice of music is exactly what my husband and I wanted, which is music to actually dance to! Thanks Alex!! Hi everyone! A friend of mine referred us to Alex and from the first time we met him we just had to have him as our DJ. He is super nice, patient, and professional. We hand picked each of the songs that was played at our reception, not to mention he specially created and edited tracks of songs to fit each request from our entourage (so you could see how much work he did before and during my wedding.) 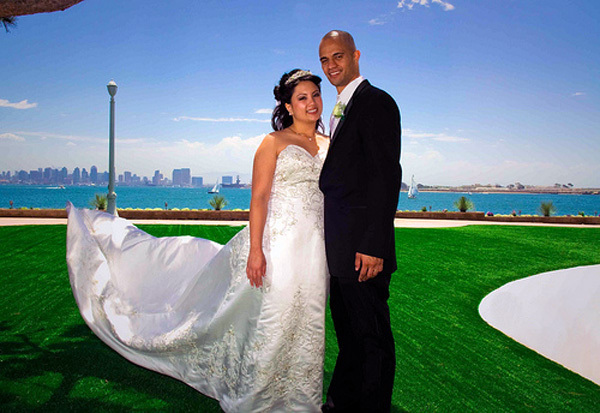 Our wedding on September 4th, 2009 came out to be beautiful, the mood was soft & romantic. Just perfect for my friends and family to enjoy and dance the night away. I would definitely have Alex DJ my wedding again or any of my future parties. 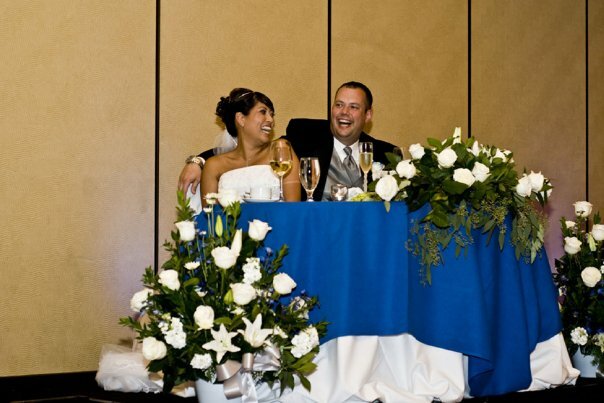 Alex did an awesome job DJing my wedding last year on October 24th, 2009!! He had everyone out on the dance floor all night long! He was very professional, especially considering he knew quite a few people at my wedding. He definitely worked hard and I would recommend him to anyone looking for a DJ. Alex played a good mix of music and did everything I asked him to do regarding my personal playlist. John and I hired DJ Flexander for our wedding at Bali Hai on 9/24/10 and I have to say we have never enjoyed music more than that night. He is very professional, polite, and very easy going. We were trying to put our cocktail, dinner, and dancing music list together, but never made a complete list. John said “don’t worry, he’ll play music that we’ll love” and he was right! During cocktail hour as we were taking our group photos I couldn’t help but jam to the tunes that were playing. During dinner, every song that played had the guests reacting with “oh man, this is my jam” and when dancing came, Alex’s music style kept EVERYONE dancing all night! On top of the hard work of keeping our guests entertained with great music, Alex was an awesome Emcee. We received compliments upon compliments from everyone that was there. We would definitely recommend Alex to anyone. Thank you soooo much for helping make our wedding night such a memorable night.!! 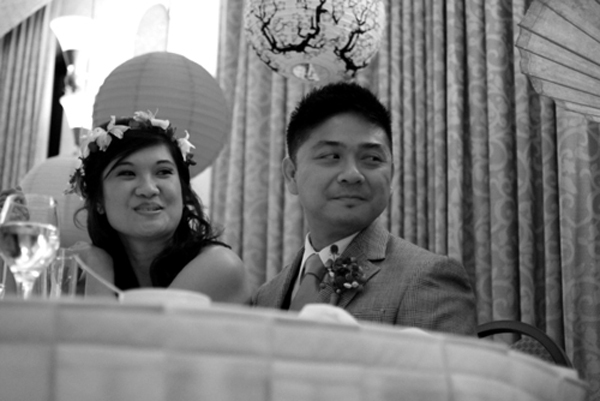 We planned our wedding from out-of-state and Alex did an amazing job making it easy for us. Alex took care of choosing the music for the end of the reception because time was such a challenge for us. We provided him a breakdown of who would be attending and he took care of the rest. He worked with us in playing what we wanted for the entrance song, etc. Alex was very flexible during the event as we had to either bump some events up sooner or hold it for later. He was able to gauge the guests’ response to the music in order to keep the party going. We had guests approaching us as the evening who mentioned they like the music he played and that we choose a good DJ. We would definitely recommend Alex to anyone. His flexibility and talent made the evening wonderful! DJ Flexander was amazing, he DJ’d our wedding on September 4th, 2010 & he did an excellent job. We met up in person discussed the details, preferences, wedding timeline, and favorite genres of music. Alex was very professional and organized, communicated thru phone calls and emails. We could tell he enjoys what he does and we admire his passion for music. Alex played all the songs that we’ve listed for the playlist and wedding itinerary. The dancefloor was crowded and our guests was enjoying themselves, he even took some requests from our guest. We’ve been getting compliments from old to young that they enjoyed the music and had so much fun. We highly recommend DJ Flexander and would definitely hire him for any future events. Me & Jonathan would like to thank you Alex for making our night memorable ! If you’re looking for a great DJ for a special event…look no further. 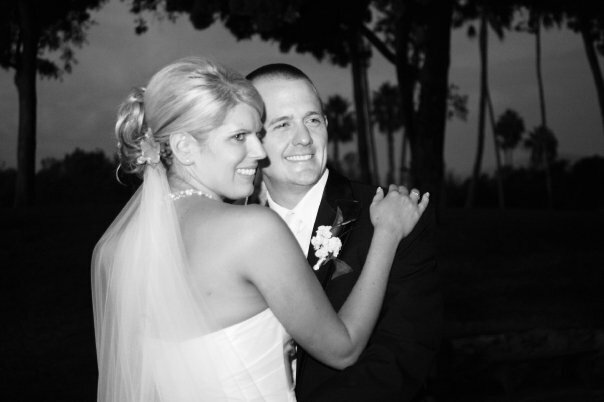 Alex did such a wonderful job at our wedding last July 18th, 2009…we couldn’t have asked for more. 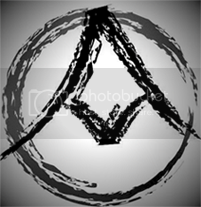 Alex was punctual, patient, and professional. All songs were perfect for each memorable moment of the night. 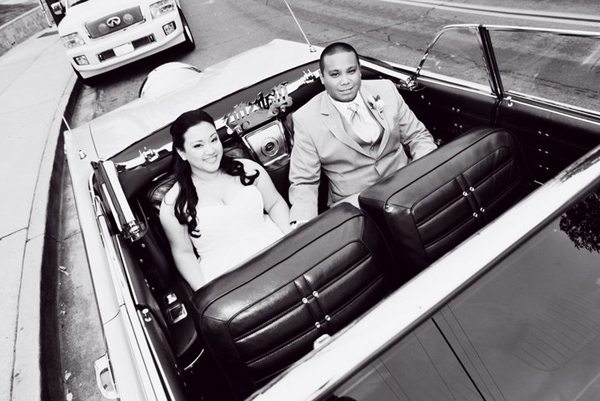 The guests were very pleased…which put the bride and groom at ease! We’ve attended several weddings throughout the years and a perfect DJ at a once in a lifetime event is hard to find. We were blessed to find such a great DJ…that in itself is priceless. Alex was our wedding DJ on August 29th, 2009. I’m so pleased to write about what great service he gave. We loved how accommodating he was and he was so happy to be there. Alex was there ahead of schedule and quietly wrapped up as our reception ended. His selection of music blended harmoniously with our eclectic selections. His timing was great and everyone had a blast. He even played some line dancing music as per the Aunties and intoxicated groomsmen. Thank you so much Alex. We had such a great time ! DJ Flexander was our DJ for our wedding on June 26th, 2009 and he was AWESOME and professional. He offered excellent customer service by meeting with us in person and communicated with us via telephone until our event. Alex played all the songs we requested from Island music, 80′s, RnB, Hip Hop, etc. Our guests enjoyed every minute of it! We danced all night =). I highly recommend Alex! We just wanted to take a minute to say what a rockin DJ you are Flexander!!! Not only were we incredibly pleased with you from start to finish but we got so many compliments on the music from all of our guests on our wedding on December 12th, 2010. We all had a blast dancing to your unique mix of pop/rock/R and B/and classics! Thank you for taking the time to really go over our list of songs and bands that we love and creating a unique musical element to our entire event! You rock and I’ve already recommended you to my friends that are getting married ! Many Thanks ! 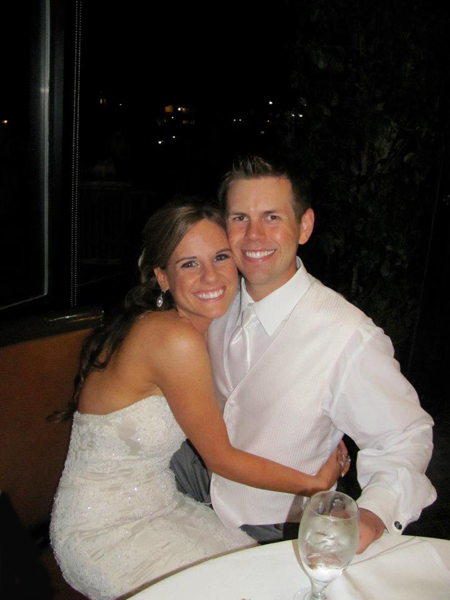 Britt and Greg ! 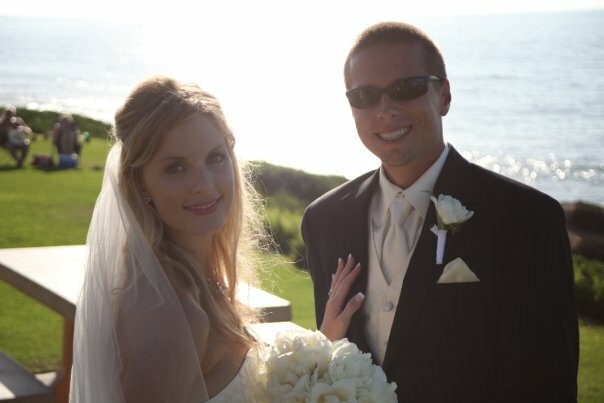 We hired Alex for our wedding back in November 28th, 2009. Alex was an awesome DJ. He made sure to listen and understand the genre of music that we wanted to be played and really set the tone for our wedding! Thanks again Alex ! My Husband and I heard Alex for the first time at Modus Bar in downtown a few years ago. He was playing 90’s hip hop & RnB and at that point my husband (fiancé at the time) looked at each other and said “we want that at our wedding…!”. Fast forward a year later and we book Alex for our wedding. 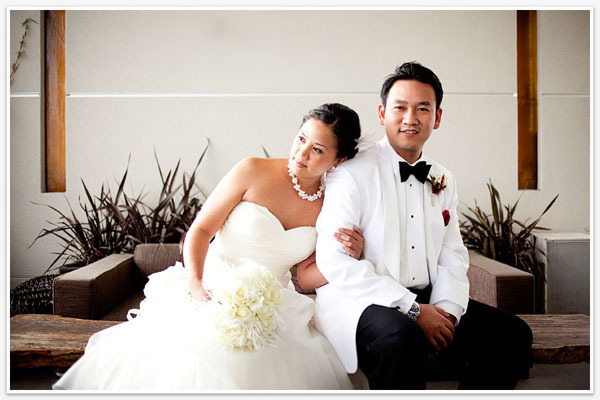 He was very professional with documentation and made it very easy to understand what he needed from us for the wedding. The wedding reception on July 24th, 2010 Alex was on time and ready to roll. I was a huge Star Wars fan and had a special request: play the intro to star wars while the wedding entourage walked in while reading a Star War’ish intro. He did it and it did not disappoint. He did play a good selection of music and adjusted it according to what the crowd vibe was. All of my family and my husband’s family had a lot of fun especially during the dancing ! Not only did Flex (Alex) DJ our wedding on October 15th, 2010, but he’s also DJ’d at my Mom’s 50th bday party. Both times his music selection was on point, especially at our wedding. We provided him a list of songs.. but just for a generalization of the type of music we like. The rest was all up to him and EVERYONE LOVED the music he played at our wedding. Up until this day, people who attended our wedding, compliment the DJ. So Flex, a BIG BIG Thank You.. for making our reception a blast!!! The first time I heard Alex DJing was in a garage at a high stakes poker party and I knew he was the man to do my wedding. On October 30th, 2010, Flex did an amazing job and we continue to get comments on how great and fun the music was. Family and friends had a blast and Flex was able to get everyone dancing. He was also very communicative and if any questions were to be asked, he would reply back very promptly. Any last minute requests? He’ll comply. 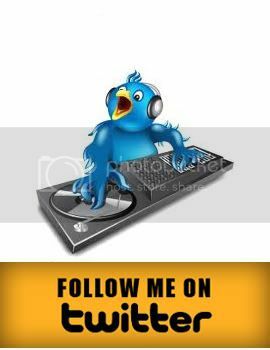 His professionalism is superb and we would recommend him to anyone who needs a great DJ. 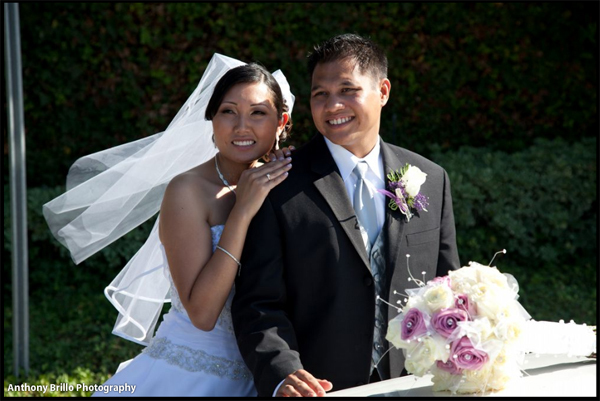 We proudly hired Flex to DJ our wedding on January 8, 2011. He was very efficient with responding to emails and easily accomodated our requests even when we kept making changes. We didn’t even have to tell Flex specifically what we wanted. Being the professional DJ he is, from music – to lights, he obviously knows what he’s doing! We received a lot of compliments from our guests regarding the dinner music. I’m a sucker for slow jams myself and I absolutely looooved that feeling being brought the old school days hearing those songs! Nevertheless, he also knows how to hype up a crowd! Good job, Flex! Keep on DJ’ing! You rock! 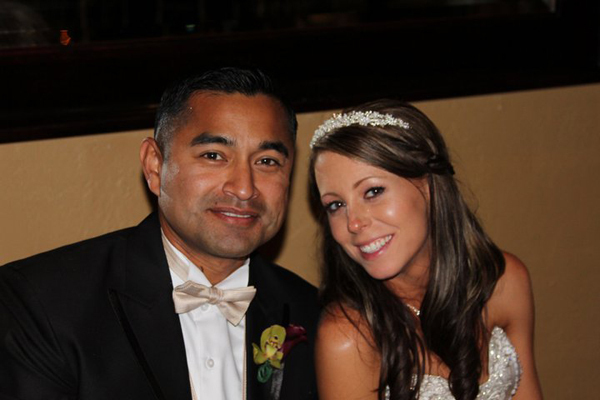 We hired Alex to DJ our wedding on February 19, 2011. DJFlexander was great from the beginning and worked really well with us and our wedding coordinators to not just play entertaining music, but to get our guests hyped for the evening and to keep the flow of the night running real smoothly. Our coordinators provided me with a playlist for us to complete for Alex, but even without it, when meeting with Alex to discuss the music we wanted to hear during the wedding, he knew exactly the genre of music to play. Not every DJ can get a mix of all ages on the dance floor together and Alex was really successful at doing that. We got great compliments from so many of our guests that evening on how entertaining the music was. 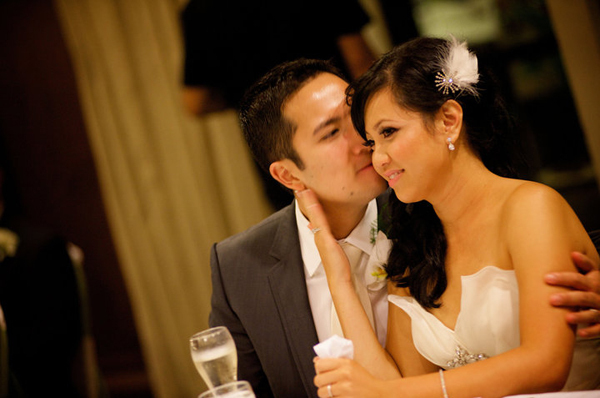 December 30th, 2008 was our wedding and DJ Flexander was great! He was on top of everything and allowed us to enjoy our wedding, great music and dancing. I would highly recommend Alex if you are looking for a DJ. Thanks Again ! 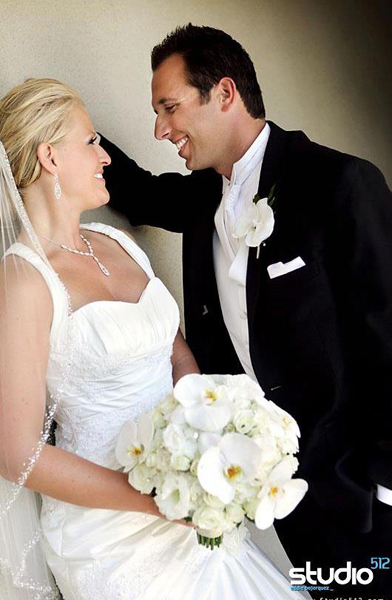 Our wedding was on June 27, 2008. Alex did a great job of meeting before hand to organize the day. He took a look at the location before hand to know exactly where to set up. He was super flexible and easy going, yet very professional as well. He was set up early and inconspicuously in the background and was ready to rock. Thanks Alex !